I love to see finished examples from the Building Block Dress book, don’t you? Seeing what others made can really help get ideas flowing. We’ve got some of that for you right now. 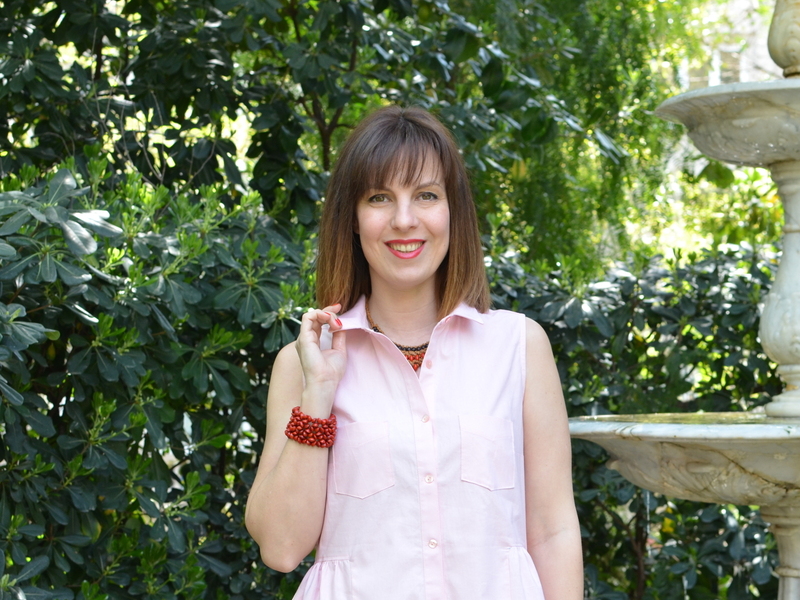 Please join me in welcoming Mònica to the blog today! She’s joining in on the fun with the Building Block Dress book tour. 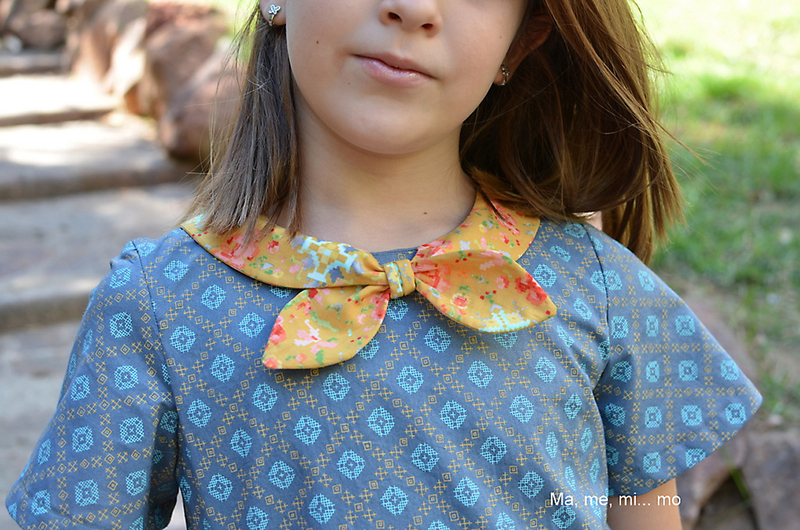 Please run over to her blog post to see the dress she designed and sewed for the book tour. Mònica was also a tester for the book, here is the dress she sewed for that. As you know my name is Mònica and I’m 39 years old. I’m married and have two children: little A is 6 years old and Indi is 4. I am a contemporary art restorer living in Barcelona. I love love sewing and love love to teach sewing. I’m a self-taught sewist that started sewing when my six year old daughter was born. I learned sewing using the amazing Oliver + S patterns. Shortly after that I created my blog Ma, me, mi… mo. I sew all my children’s clothes, a lot for me and occasionally for my husband who patiently waits his turn. Since I started the blog many amazing things have happened and I have had the opportunity to meet amazing people. Come back here on Friday when we’ll have another book tour participant that you won’t want to miss. Thank you so much is such an honor to be here with all the talented women on the tour. The book is going to be a succes! Great job on the dresses!!! Love the fabrics you chose.